That’s a lot of Bull… Bull Riding that is! Hey Tampa, Lisa here with some Tampa Bay Sports information on a wild good time coming up in April! 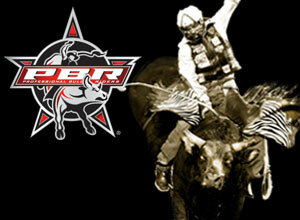 On April 9th and 10th the Professional Bull Riders (PBR) will be here at the St. Pete Times Forum. 40 of the best and fiercest riders will be in attendance at this Built Ford Tough Invitational. The riding will kick off at 7:50 on Saturday night, and 1:00pm on Sunday afternoon. Tickets are available at on-line and at the St. Pete Times Forum box office, and prices range from $10.00-$100.00. Tampa is the 14th stop in this series, which will make 28 stops in 23 states. The season opener began at Madison Square Garden, and it will end in Las Vegas! The champion of this series will be awarded a $1 million Built Ford Tough Bonus (maybe I should compete…ok probably not). Fans will experience two rounds of 8-second rides and crazy bucks, including Chris Shivers who is second in career earnings. The men that are competing are the best in the industry, and are certain to entertain the crowd. Each of the 40 riders will ride on Saturday and Sunday. Following round 1 on Saturday, the riders with the 10 highest scores will each compete with one more bull. Following Round 3 on Sunday, the riders with the 10 highest cumulative scores will advance to the Built Ford Tough Championship Round, where they will compete with one more bull. The overall event winner will be the rider with the highest combined score from all four rounds. In light of this fantastic display of masculinity and sportsmanship, we are giving away tickets to this once in a lifetime event in early April! I know I wouldn’t mind spending an evening and an afternoon watching men in cowboy hats riding a bucking bull. So keep your eyes open Tampa for more information on that! That’s all I’ve got for now, but I’m sure to have other Tampa Bay Area events for you soon!